Lights Out and brain dead! 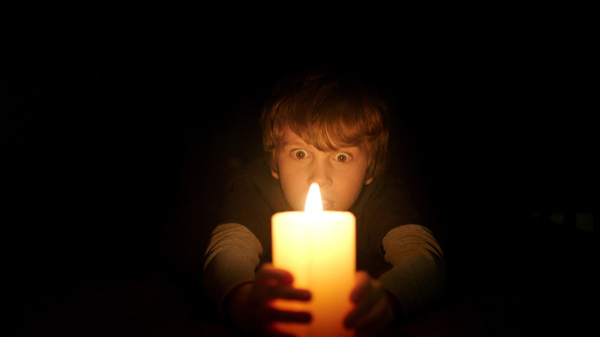 Remember, back when we were kids, how darkness used to scare the living daylights out of virtually all of us. Few phobias are more common across the broad spectrum of humanity than nyctophobia and first time director David F Sandberg has exploited this most primal of human anxieties to turn darkness itself into a coldblooded antagonist. But, somehow, instead of frightening the heck out of you, for most of its running-time, Lights Out just makes you annoyed with the dark. No. 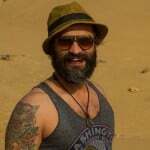 Load shedding made me stronger, thank you Pakistan! Teresa Palmer and Gabriel Bateman. The movie started life as a three-minute short film which was a viral hit. This ‘stretching of the premise’ is clearly evident by how 78 out of the admittedly lean 81 minutes are infuriatingly tedious. After the death of his father, at the hands of a shadowy silhouette named Diana, that’s mysteriously linked to his mother Sophie (Maria Bello), little Martin (Gabriel Bateman) seeks help from his estranged older stepsister Rebecca (Teresa Palmer) when he begins to be terrorised by a foul spirit that only appears when the lights are out. The commitment-averse sibling who herself was previously haunted by the ghoul, along with a boyfriend moves in with the stepmom to help her regain her mental strength and save them all from the murky apparition. What follows is amateurish exposition—the past explained by conveniently discovered audiotapes and photos. There was a reason why Lights Out, the short film, became such a global hit. Like any successful visual piece from the horror genre, it had the ability to get under your skin. The expanded version on the other hand is so repetitively frustrating that it makes you want to crawl out of your hide. The narrative is kind of vague in the way that despite plenty of background info, you are never quite able to figure out ‘why is Diana doing whatever the hell she is doing’. To look all smart and deep, the filmmaker has also thrown in a mishmash of clichéd family themes and conflicts that are delivered to us through appalling dialogue. It does have a couple of fine ‘BOO!’ moments, but only if you are someone who counts an idiot unexpectedly blowing an air horn close to your ears as a good jump-scare. Lights Out is filled with cookie-cutter cheap scares that we’ve all seen only a million times before. The lead female duo are both decent actors but they are simply unable to rise above the run of the mill material. 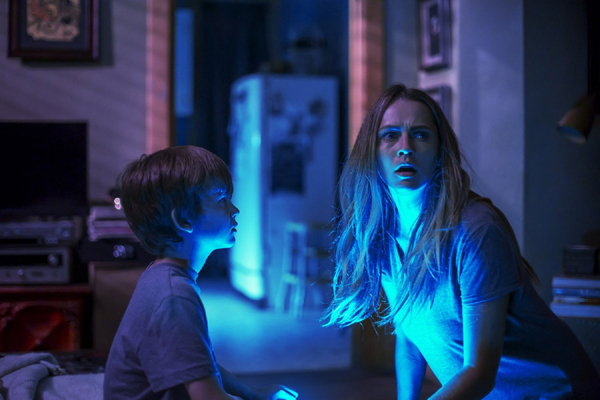 The low-budget horror is riding on the clout of producer James Wan, who is a big name in this particular genre with Insidious, The Conjuring and Saw franchises to his credit. But while the aforementioned flicks did well based on the fact that they were a throwback to old school lo-fi fright wringers, this one would only be able to terrify tweens. It’s a starter-shocker. No one else will need to sleep with the lights on. Yes. Perfect genre for a movie-date!